A while back I came across a blog post written by my friend and colleague Dr. Magnus Pharao Hansen concerning the Nawatl language and how it should be written. As a student of Nawatl (my heritage language, my family descends from Nawas of the Puebla-Tlaxcala region), I find this topic fascinating. The question Magnus addresses is one I come across quite often: How DO you spell words in Nawatl? As any student of the Nawatl language can tell you, there are a variety of ways that you can write the Nawatl language. You see, when Spanish priests began transcribing Nawatl into a written form using Latin characters, the concept of a standardized orthography (style of spelling) did not exist. Each priest simply wrote what he was hearing to the best of his ability. This means that if you study the Nawatl language, you will doubtlessly see it spelled in a variety of ways: Nahuatl, Nauatl, and even Nawatl if you are studying a modern variant. So which one is correct? Well, they all are. What is important is that the method of spelling allows for accurate pronunciation. I would have to agree with Mr. Espinoza on this. Personally, I feel that this orthography helps facilitate proper pronunciation, especially for English speakers. Of course, the fact that actual native Nawatl speakers have adopted this style of spelling has not stopped self-appointed “defenders of the Nawatl language” from complaining whenever they see the K or W appear. Interestingly enough, the people who complain the loudest about this modern orthography tend to be Chicanos who have never actually studied the language, let alone spent time with native speakers. Perhaps they can go to Mexico and inform the Nawa communities there that they are mistaken. I’m sure they would love it. *NOTE: Nawatl language linguist Dr. Magnus Pharao Hansen has written an interesting analysis on the variety of ways that Nawatl can be spelled. You can read it here. 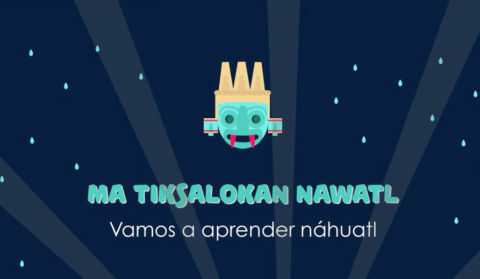 2 Comments on Nahuatl, Nauatl, or Nawatl? How DO You spell it?